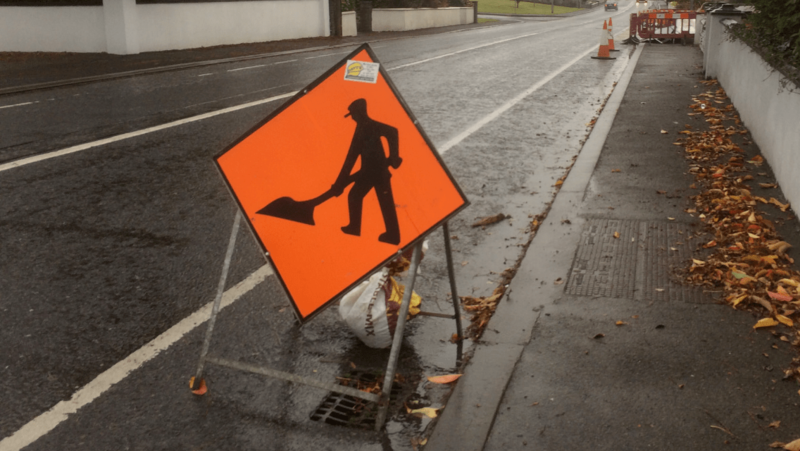 Guidelines are to be drawn up to deal with the recurring problem of how cyclists are treated at road works — the rules will only apply to the Fingal County Council area but the councillor who suggested the measure hopes all Irish councils will follow suit. 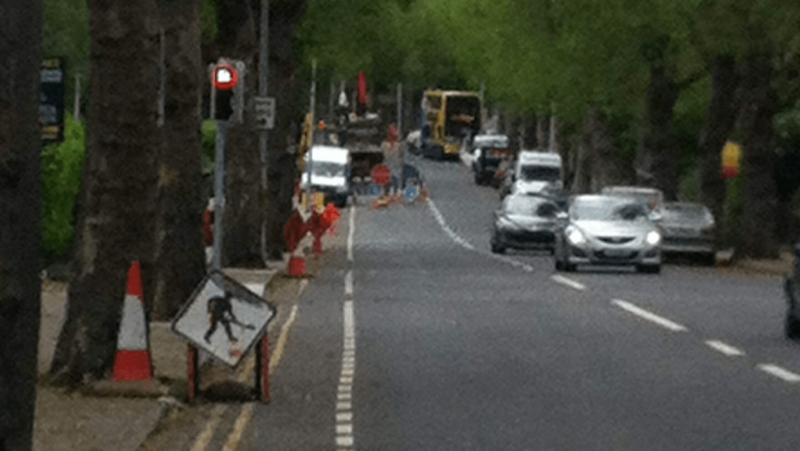 “The issue of roadworks being carried out in a way that increases risks for cyclists is a recurring problem, often resulting from a failure of those carrying out the works to consider the needs and safety of cyclists,” said Cllr David Healy (Green Party), writing on his website this evening. 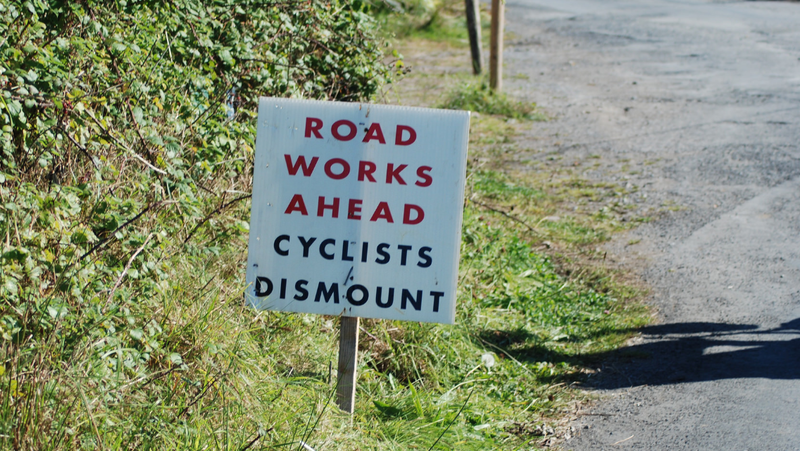 Common complaints include the needless blocking of cycle lanes with road works signs, pointless “cyclists dismount” signs, and temporary traffic lights which do not allow for slow-moving cyclists, especially on rural roads. “I hope that the fact that there’s already a draft by Transport for London might help Fingal to finalise guidance soon and that in turn other Irish local authorities might follow Fingal’s example,” added Cllr Healy. 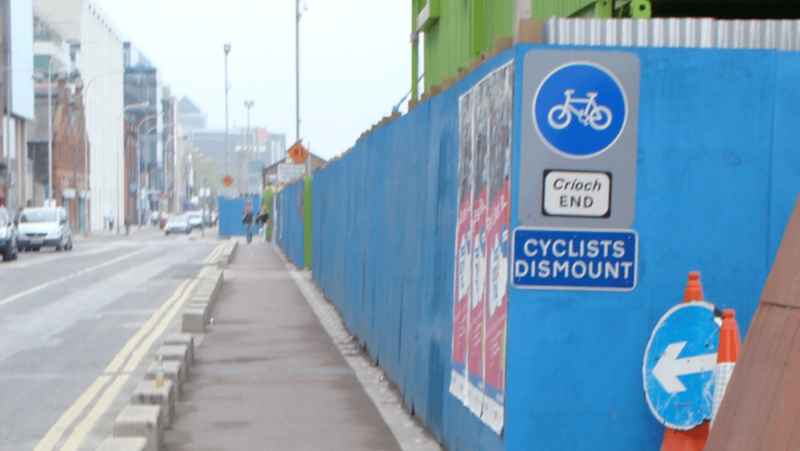 And, of course, there’s the “cyclists dismount” signs — used where it’s usually needless or where dismounting would made things worse for people trying to cycle and also footpath users. I hope something positive comes of it. 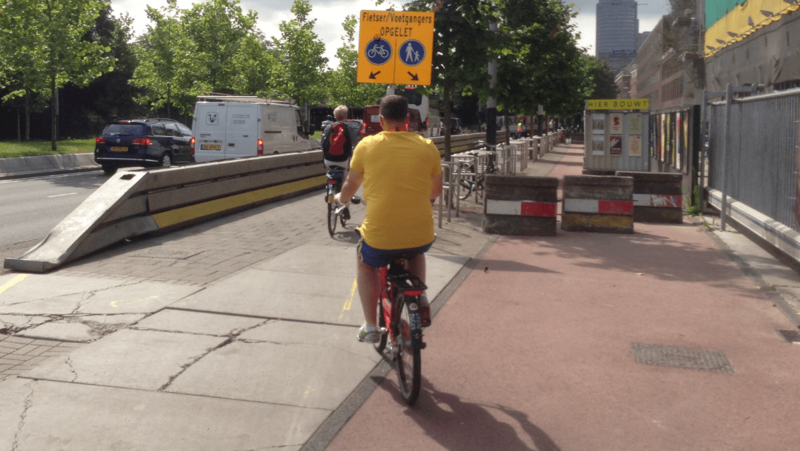 The ‘shared’ path on the south side of this bridge during normal operation is one of the worst I’ve experienced, so I always use the road during busy times. 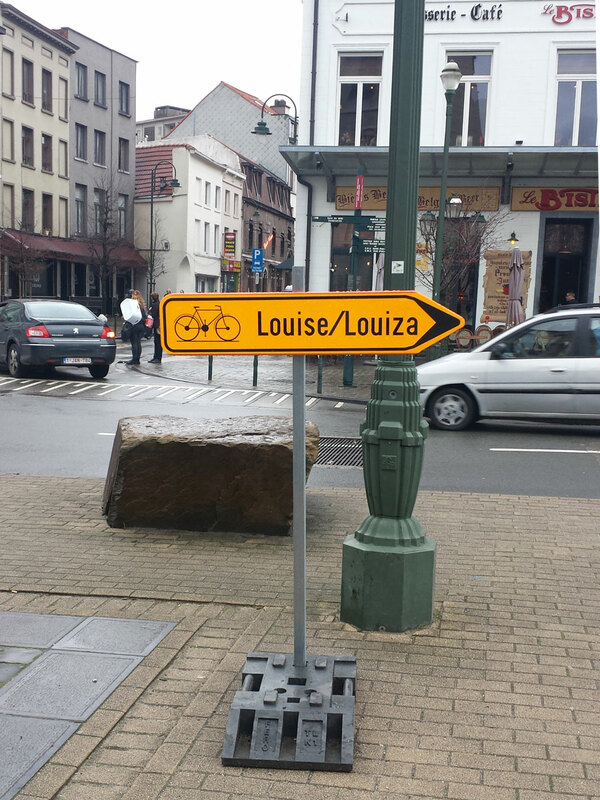 @Alan Those diversions are only for people called Louise apparently. I’ve just come back from a week in Munich. 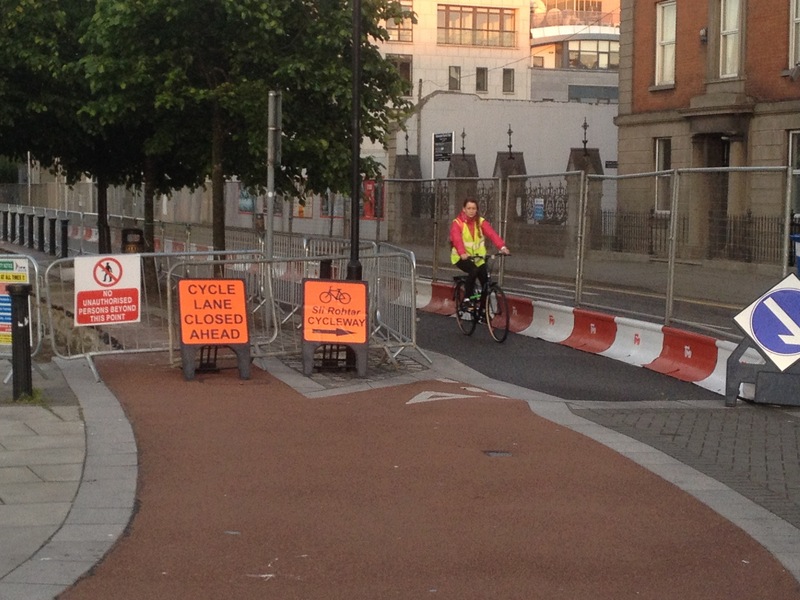 If road works block a cycle lane, a CAR lane is closed, and a temporary cycle lane provided with cones. Bleedin great!